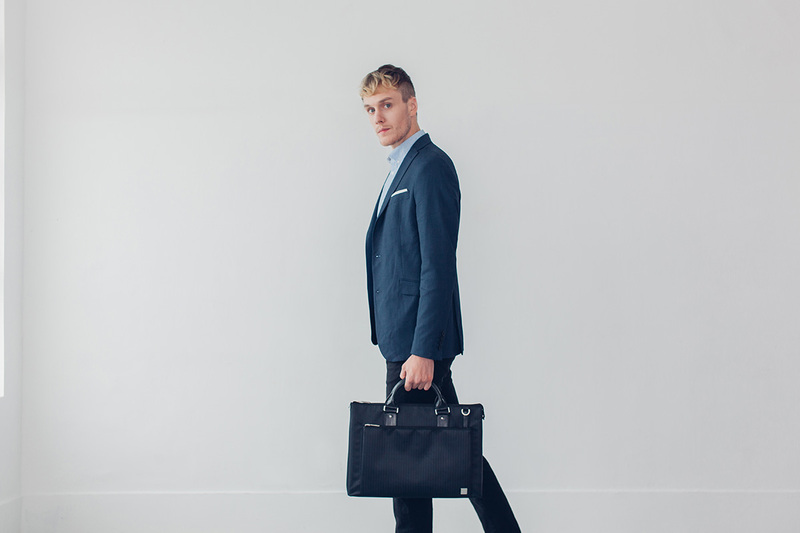 Sleek, but spacious our laptop briefcase has enough room to fit up to a 15" laptop plus an iPad - with room to spare. 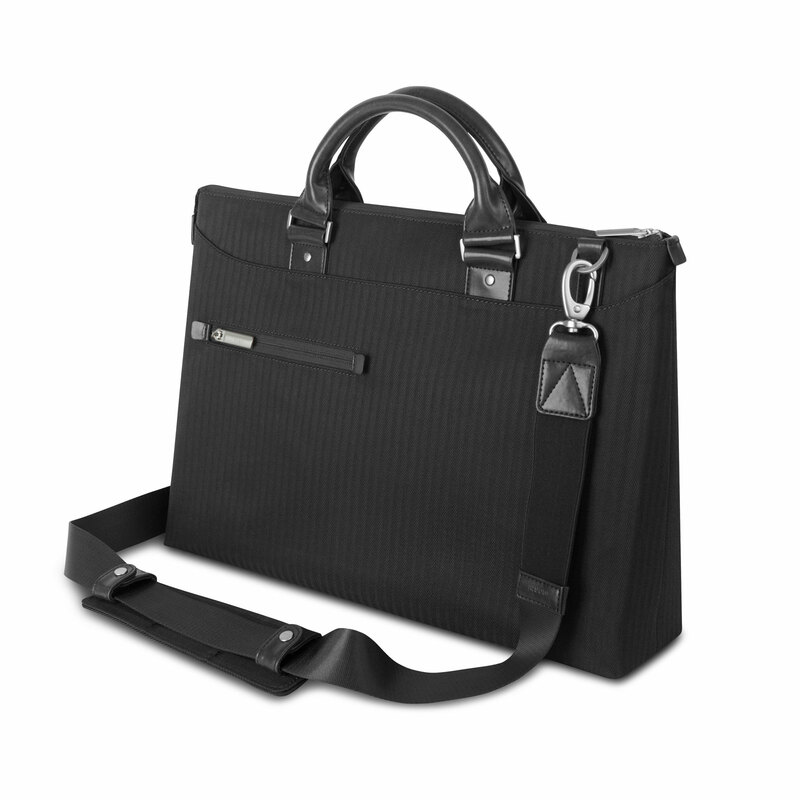 Urbana is crafted using lightweight, weather-resistant fabrics with a stylish vegan leather trim. 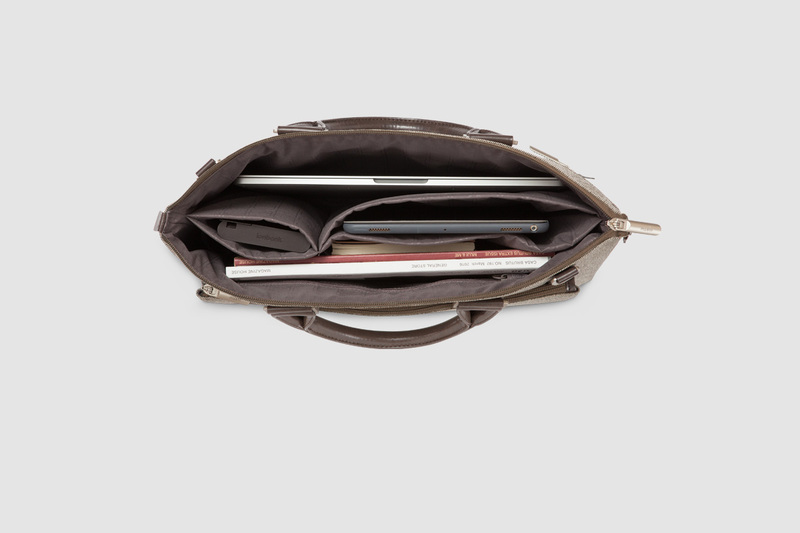 Urbana boasts a spacious interior large enough to fit up to a 15" laptop plus an iPad with room to spare for books, folders, and other documents. The padded ViscoStrap™ provides hours of flexible comfort to help alleviate shoulder strain throughout the day. 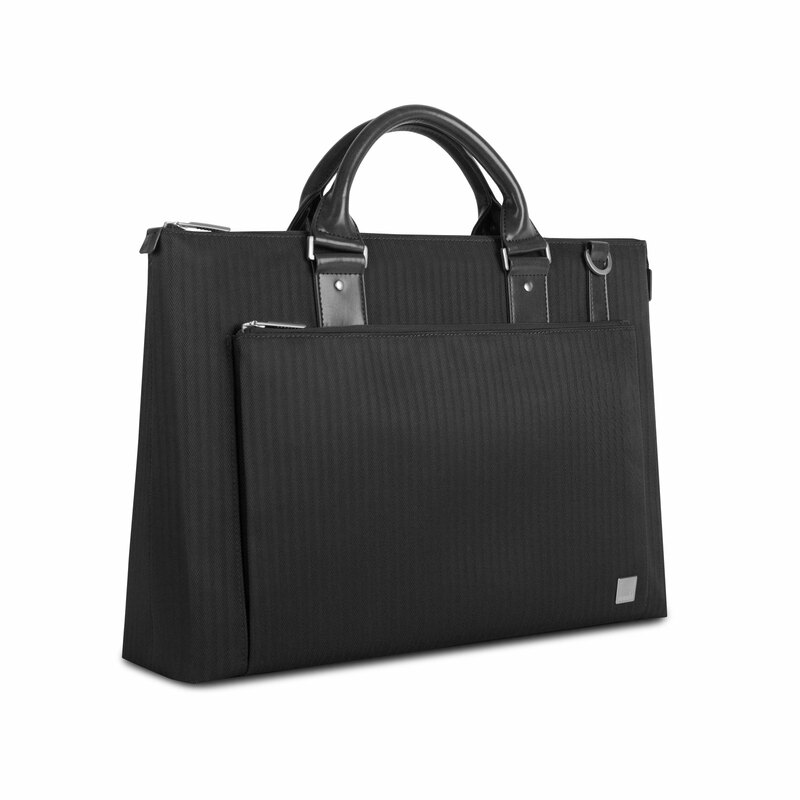 Carry your mobile essentials in style and comfort with Moshi's Urbana briefcase. 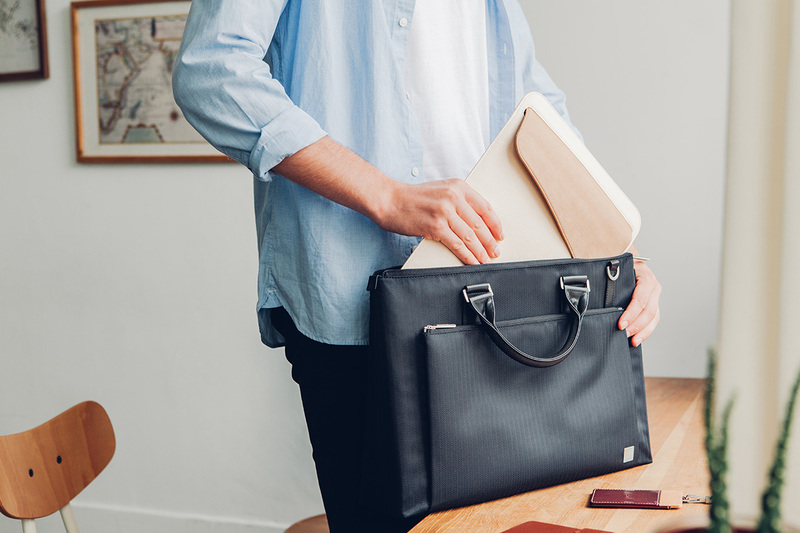 Despite its ultra-slim profile, Urbana boasts a spacious interior large enough to fit up to a 15" laptop plus an iPad with room to spare for books, folders, and other documents. 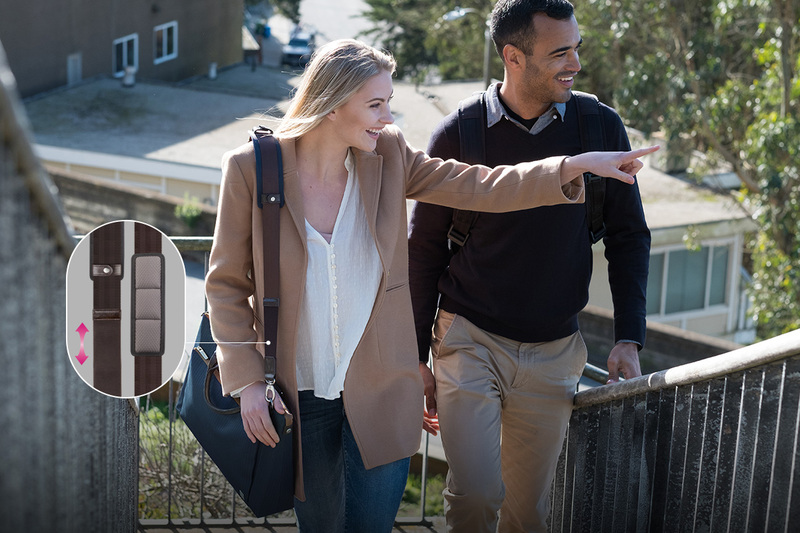 A padded ViscoStrap™ provides hours of flexible comfort to help alleviate shoulder strain throughout the day. 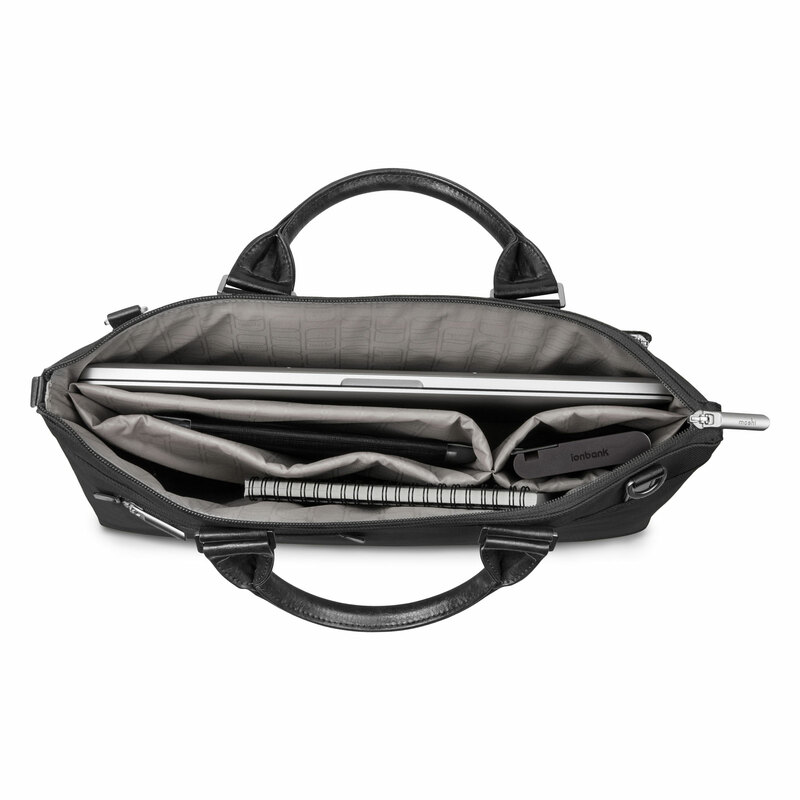 Keep accessories such as pens, chargers, smartphones and cables neatly organized in the bag's numerous exterior and interior pockets. 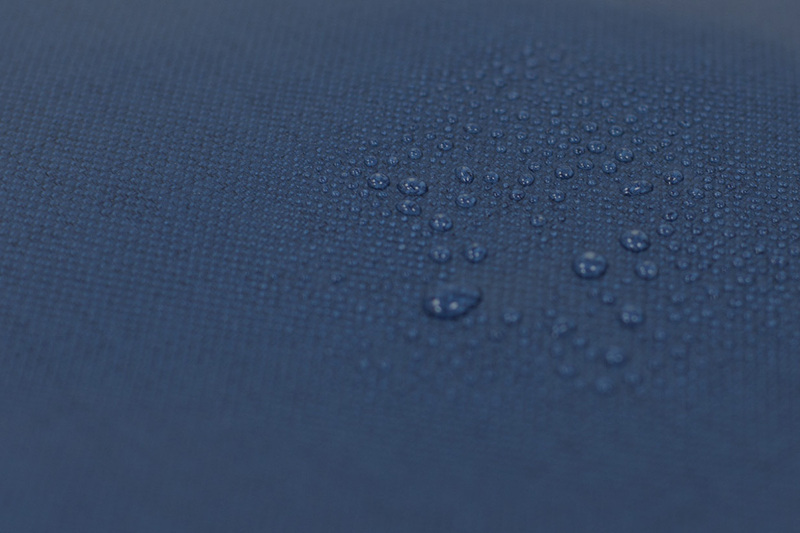 Urbana also features a water-resistant coating to safeguard your valuables from unpredictable weather. 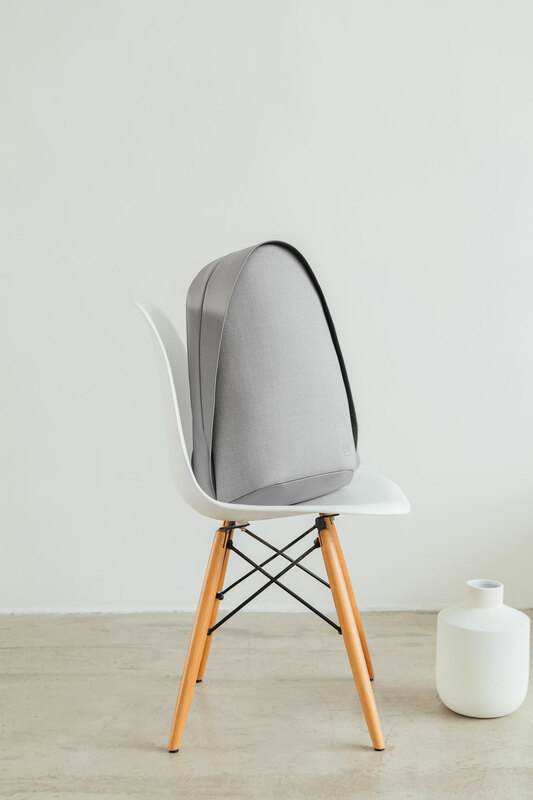 Crafted from lightweight and durable materials, Urbana's smart functionality represents the cornerstones of our design philosophy. 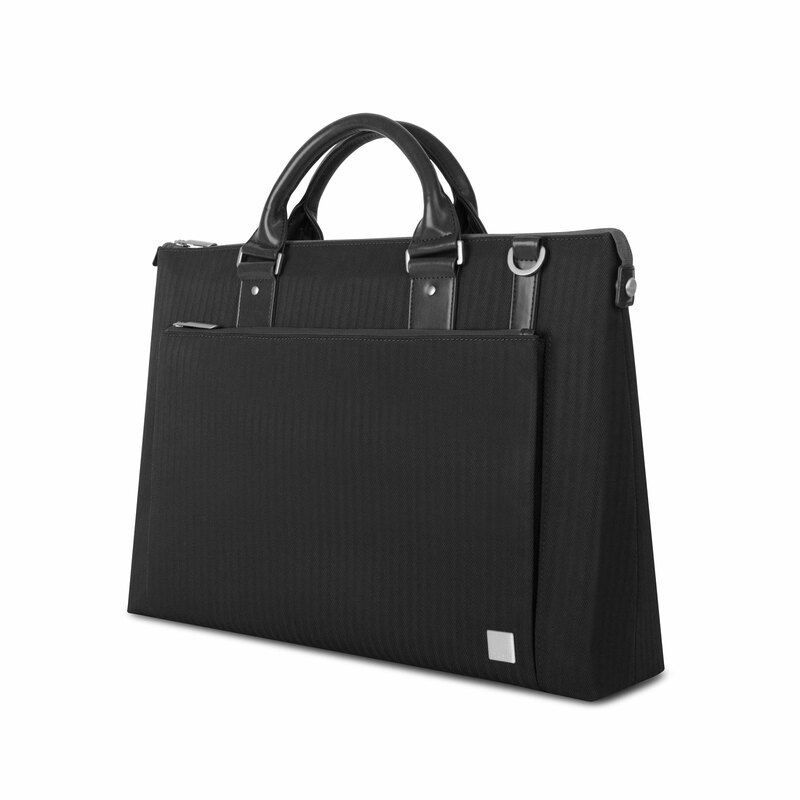 If you're looking for a slim and stylish bag to complement your lifestyle, the choice has never been easier. Proprietary ViscoStrap™ alleviates shoulder strain. Slim profile with modern design accents. 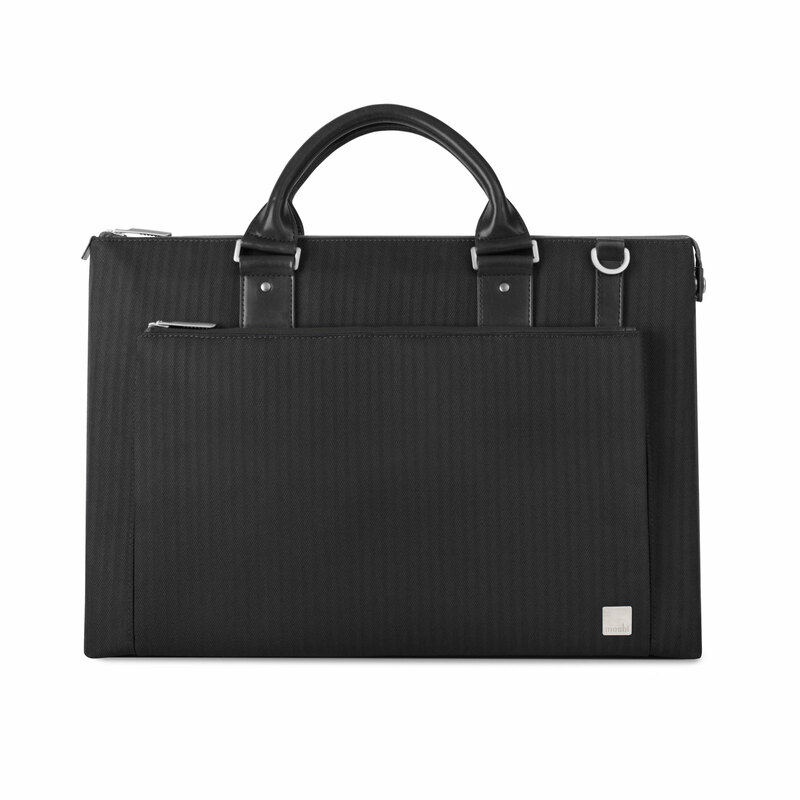 Fully padded compartments for 13-15" laptops and iPad/tablets.